🚀 EOS/USD Price Prediction — $5 Was Not Broken: Do Bulls Have Power for Revival? 💎 TOP 3 Price Predictions: Bitcoin (BTC), Ethereum (ETH), Ripple (XRP) — Has The Bull Run Followed by A Pull Back? 🚀 Bitcoin Price Is Heading to Its Next $7,000 Target! When Will BTC Break Resistance? Tron Price Prediction - TRX Surges, Can the Move Last? The cryptocurrency market may be down but it’s not out. The total market cap of cryptocurrencies has fallen sharply over the last year, but the number of users continues to grow. The prices of TRX, the native token of the Tron network, has moved up more than 100% in the last few weeks and looks like it could go much higher. The move is driven by the Tron Foundation’s partnership with BitTorrent and the subsequent launch of the BitTorrent Token on Binance last week. BitTorrent is the world’s largest and most used peer-to-peer file-sharing service. The company services all systems including MAC, Windows, and Linux with the so-called fasted Torrent-based file-sharing software in existence. Now that it is part of the Tron network the new BTT tokens can be used to access faster transfer times and other premium services. The new tokens were criticized prior to launch as making BitTorrent more complicated for infrequent users. The launch of the token belied those fears as the new BTT’s were sold out in mere minutes after launch. The demand for the tokens helped to increase their value and Tron’s as well. Looking forward, this collaboration and other efforts from the Tron Foundation are likely to drive this token higher while others continue to languish at their lows. The price of BTC/USD continues to wallow near the long-term low. The price has been drifting sideways to down over the past few days and looks like it will move down to retest support near the $3,175 level. That test will be important, a fall below support would be very bearish and could wipe another $1,600 of the price of the world’s reserve cryptocurrency. ETH, the native token of the Ethereum network, may have found support. The token has been trending sideways over the past week, near the long-term low, and is today moving up from said level. The move is not overly strong, but it is bullish and could lead to higher prices in the near-term. Longer-term, Ethereum is still under pressure while we wait on system upgrades and hard-forks that seem as though they will never come. 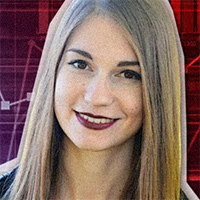 XRP is still showing signs of support above the key level of $0.2830. The token is set up for a move higher, a move that may prove to be large, based on the advances Ripple has made over the last year. The first hurdle will be the short-term moving average, near $0.32, but once that’s broken moves up to $0.3966 is expected. 💎 EOS/USD Price Prediction — $5 Was Not Broken: Do Bulls Have Power for Revival? 💎 TOP 3 Price Predictions: Bitcoin (BTC), Ethereum (ETH), Ripple (XRP) — Has The Bull Run Followed by A Pull Back? 💎 Bitcoin Price Is Heading to Its Next $7,000 Target! When Will BTC Break Resistance?